Designed for professional use, the FLIR Vue Pro Gimbal allows users to integrate the FLIR Vue Pro camera system with the Evolve aircraft. Designed for professional use, the FLIR Vue Pro Gimbal allows users to integrate the FLIR Vue Pro camera system with the Evolve aircraft. 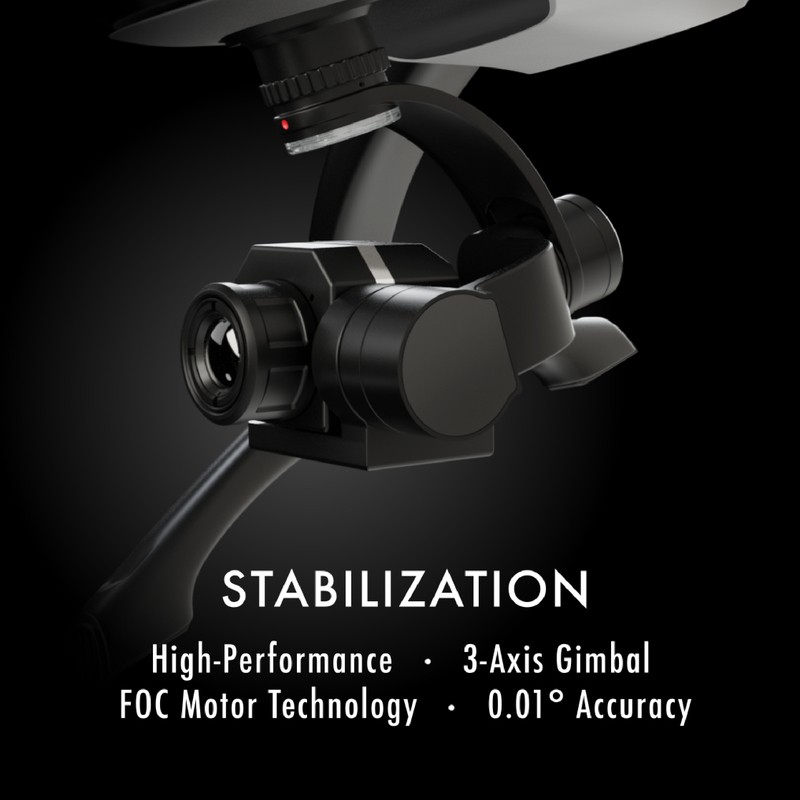 The gimbal is cleverly designed to reduce power consumption by 70% and operates on a set of new algorithms that reduces tilt caused by extreme acceleration and isolates the FLIR Vue Pro from the Evolveʼs sway. Reduced motor temperatures also result in stable performance in a variety environments. Whether users are using the thermal measurement instrument and data recorder for personal or industrial use, the FLIR Vue Pro gimbal allows for increased range of use, safety and accessibility. 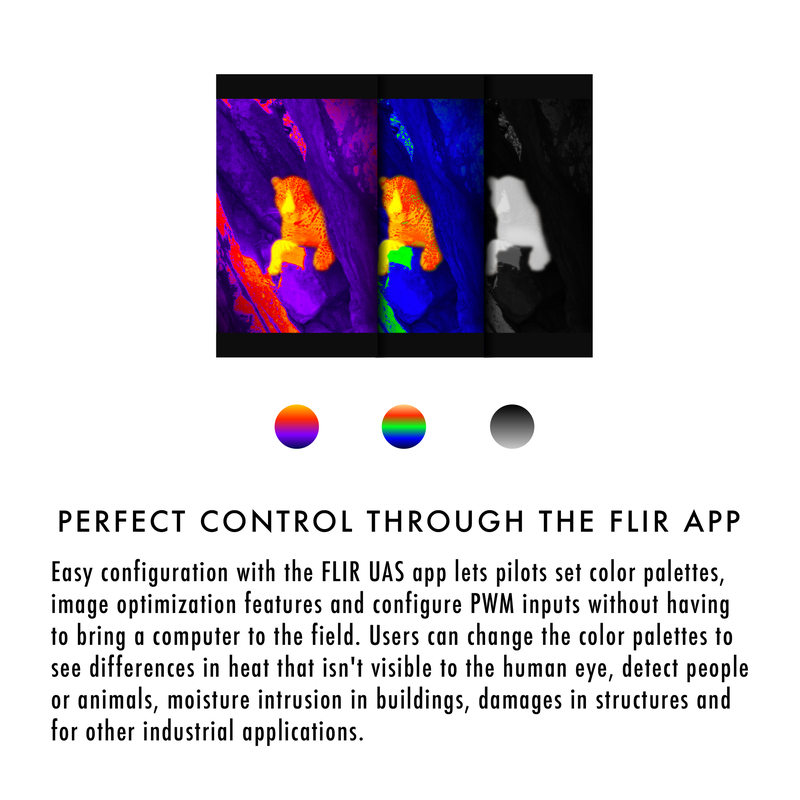 Users can also configure the FLIR Vue Pro using the FLIR UAS application that is downloaded to their mobile phones to set color palettes, optimization features and input current data for more accuracy. 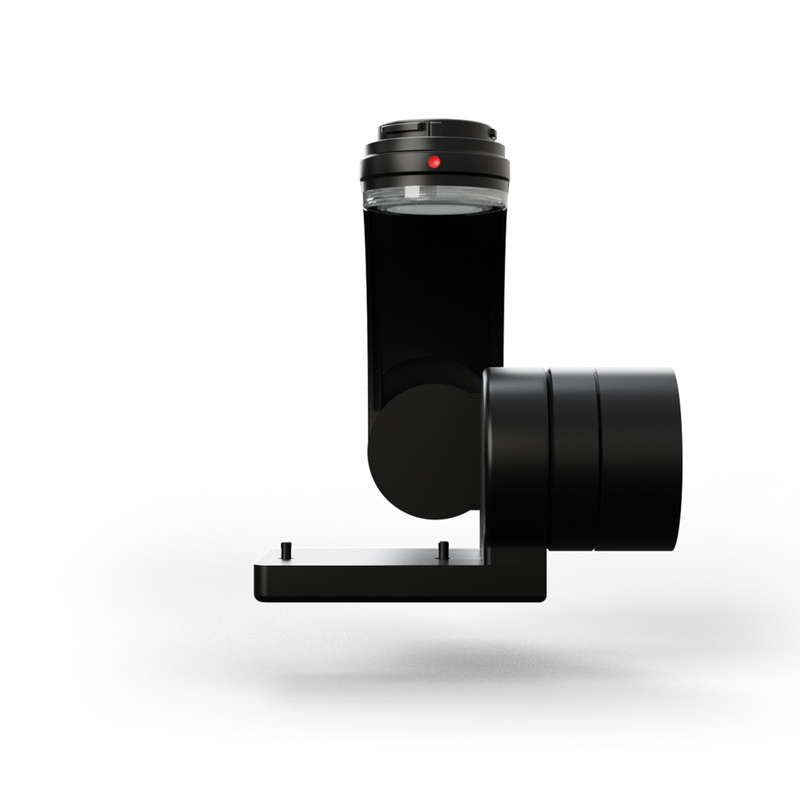 Each FLIR Vue Pro camera can be easily attached and detached from the gimbal via the precision mounting holes and connected through the accessory port that provides data and a live view of the subject. This integration of two systems provides a platform for pilots and users to receive data and analyze figures more efficiently, resulting in quicker response for time sensitive situations. Data, video and imagery is also recorded onto the FLIR Vue Proʼs removable micro-SD card and transmitted to the Ground Station where a back-up is saved. 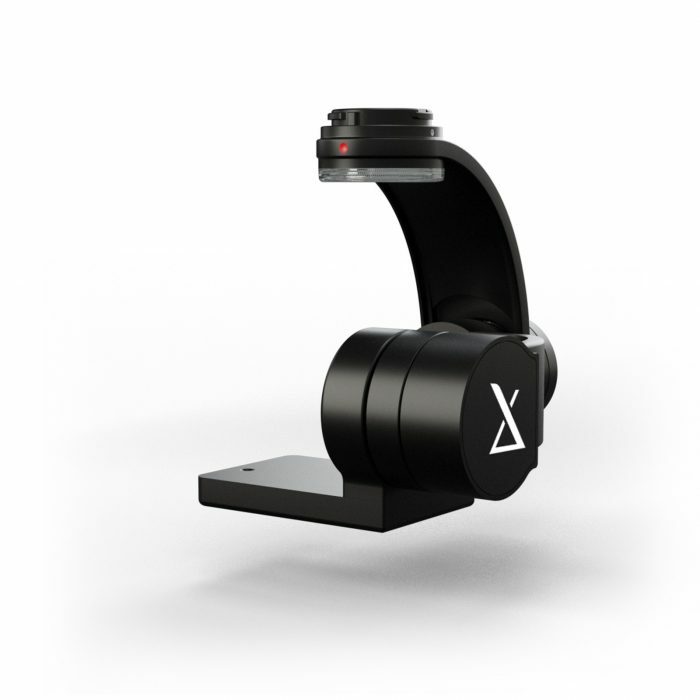 The gimbal is equipped with XDynamicsʼ quick release system and allows for easy mounting of other camera units on the aircraft. Its mechanical pitch of -135° to +45° operates at 1.5 to 80 °/s with a control rate of 1000Hz. 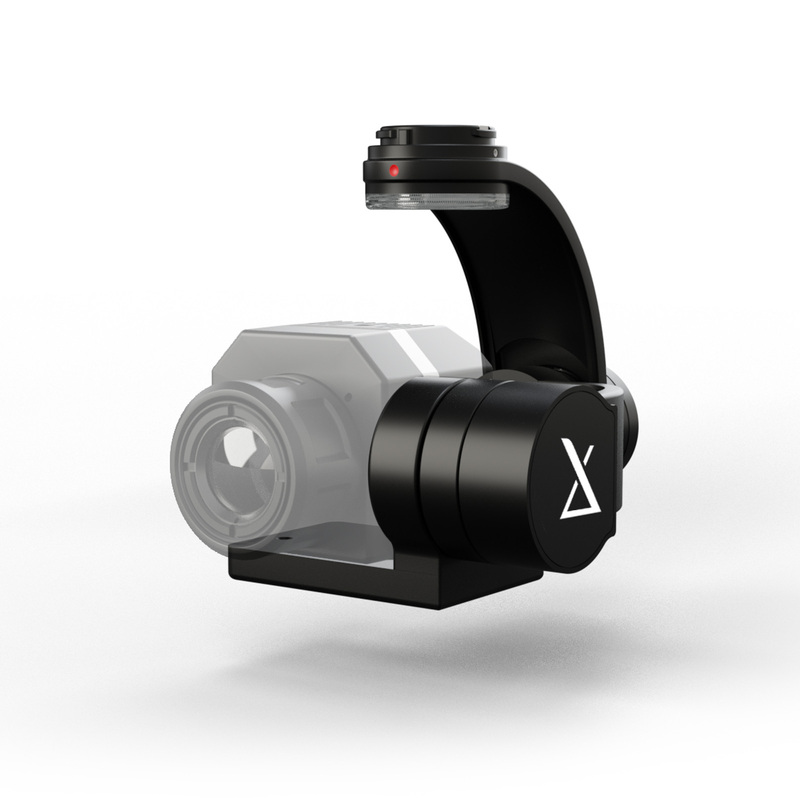 The stability of the camera is provided by three brushless motors within the gimbal, controlling the 3 axes: pitch, roll and yaw. The motors ensure that the camera shoots smoothly with control accuracy of ±0.01°. These tailor-made designs which use high standard components place the Evolve at the forefront of cutting-edge technology. Their co-axial cables are soft, extremely flexible and isolated from any interference. 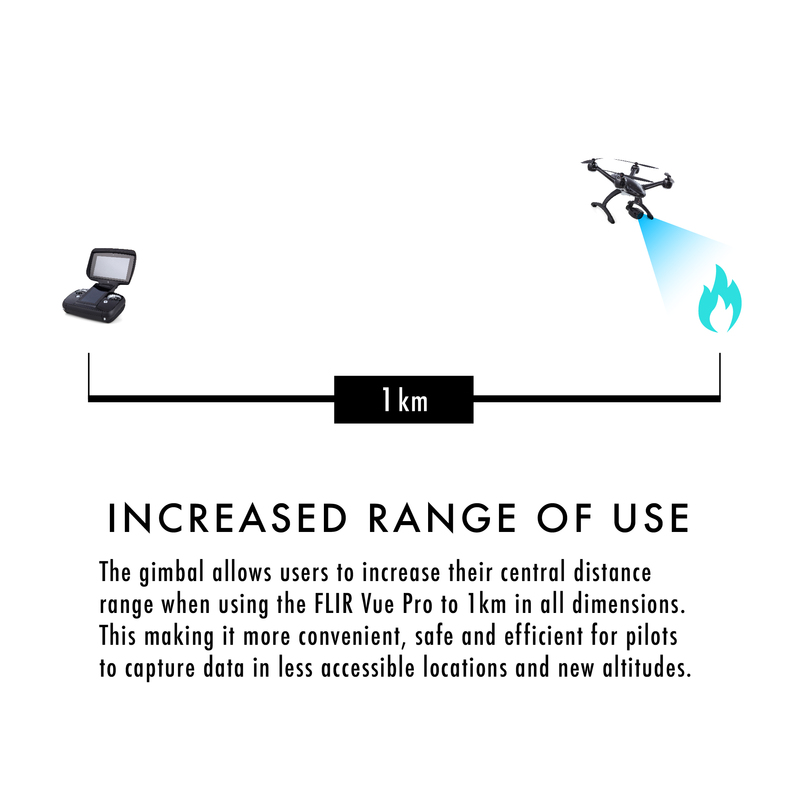 The gimbal allows users to increase their central distance range when using the FLIR Vue Pro to 1km in all dimensions. 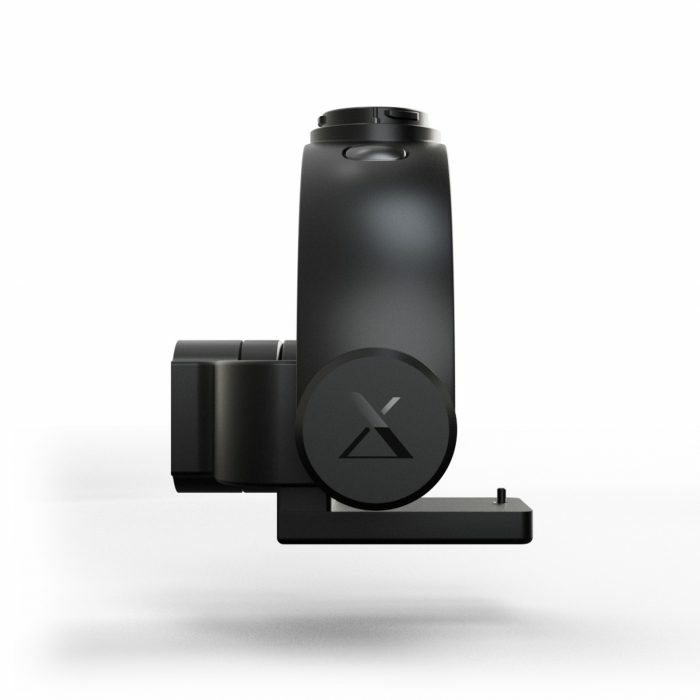 This making it more convenient, safe and efficient for pilots to capture data in less accessible locations and new altitudes. Easy configuration with the FLIR UAS app lets pilots set color palettes, image optimization features and configure PWM inputs without having to bring a computer to the field. 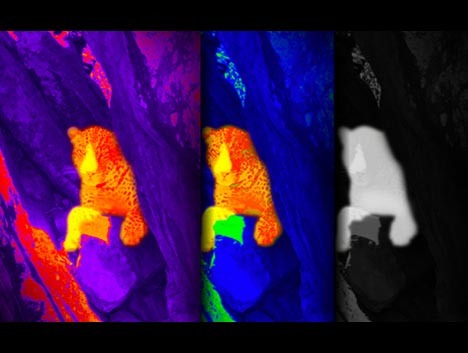 Users can change the color palettes to see differences in heat that isn’t visible to the human eye, detect people or animals, moisture intrusion in buildings, damages in structures and for other industrial applications. 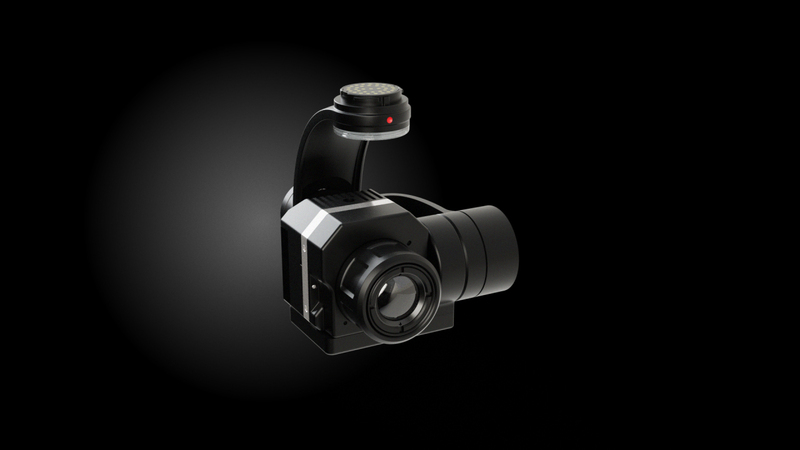 What FLIR cameras are compatible with the gimbal? 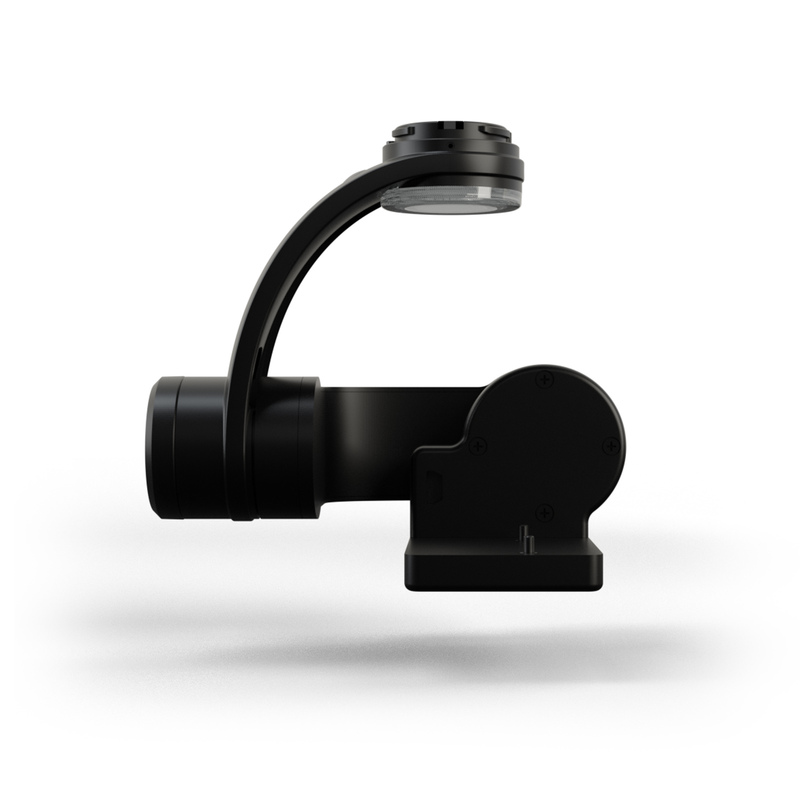 This gimbal is compatible with the FLIR Vue Pro. Does the gimbal come with the FLIR camera? 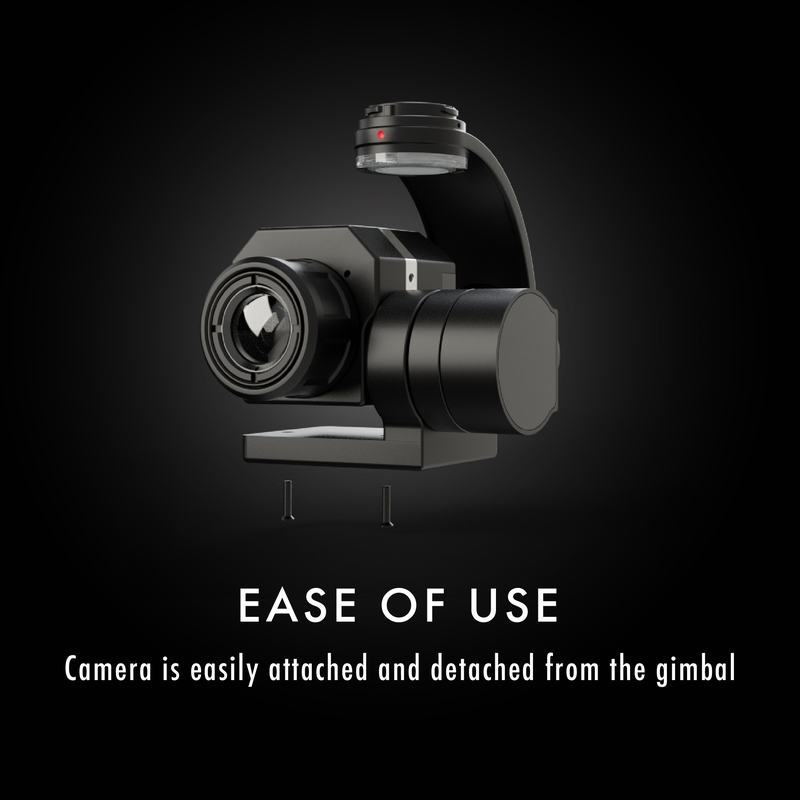 No the FLIR compatible gimbal comes on it own. 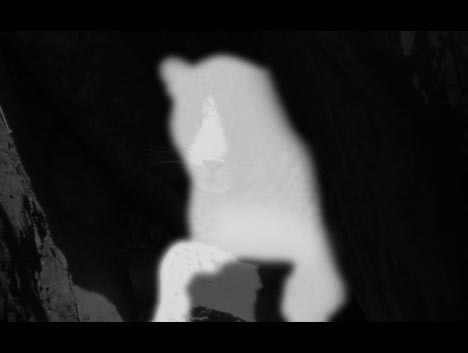 You need to purchase the camera separately. 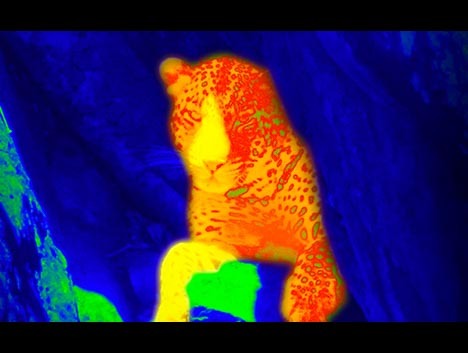 Can i purchase the Flir camera along with gimbal? No, XDynamics does not sell the FLIR camera. 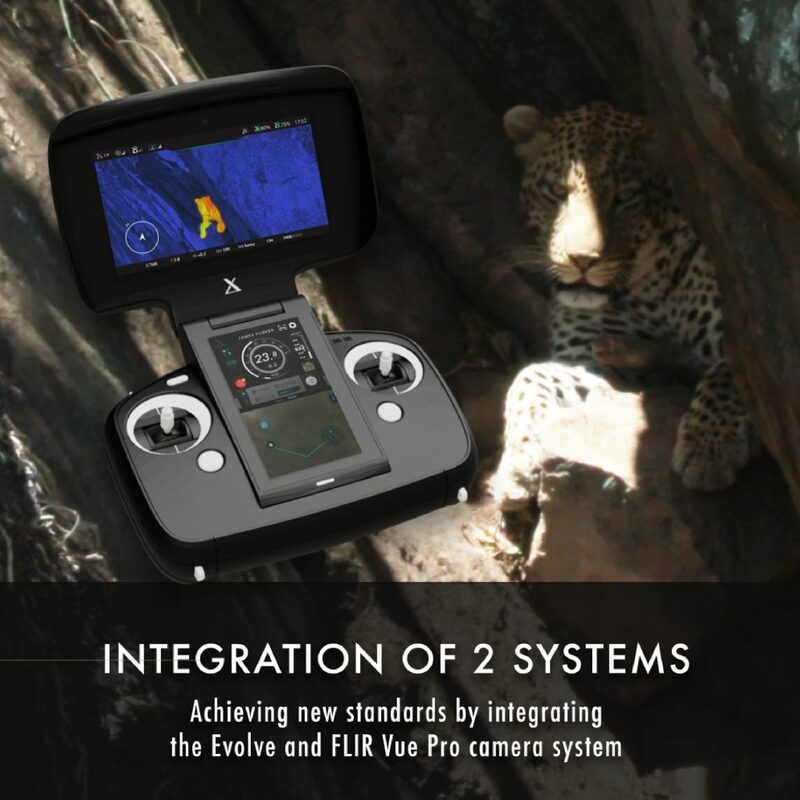 Can I control the FLIR camera from the Evolveʼs Ground Station? 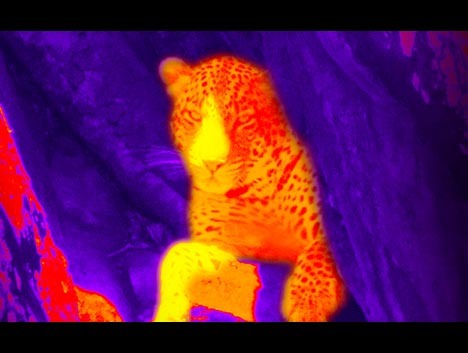 For the time being, the FLIR camera has to be control through the FLIR native application installed on an external device. 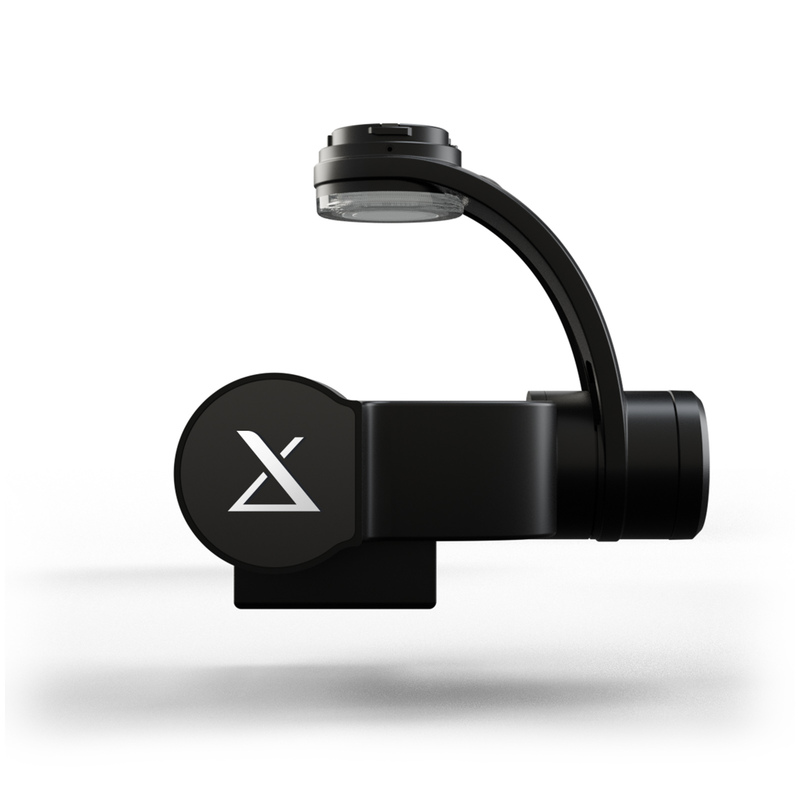 However, XDynamics is working on adding this functionality to the Evolveʼs Ground Station.